Home Costs > How Much Does it Cost to Restore a Barn? How Much Does it Cost to Restore a Barn? 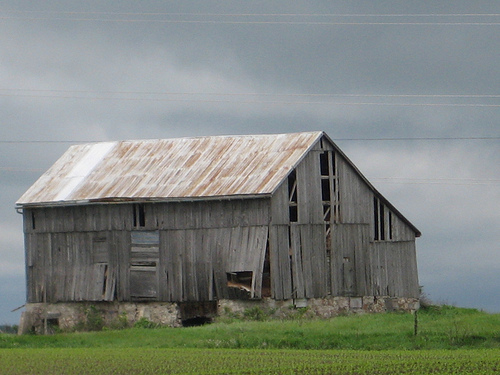 Restoring a barn on your property may be done for a few reasons. It could be due to wear and tear or may be required for safety reasons. Whatever the reason may be, the costs to restore a barn will depend on the size, the work that’s involved, the contractor hired, geographical location, the material being used and more. Most barns that need to be restored will simply need to have the wood replaced most of the time. When you get a quote from a professional contractor, they will more than likely give you a price per square foot, and this, of course, will depend on the condition of the barn and so many other factors like if there are pests, dry rot, etc. On average, be prepared to spend anywhere from $175 to as much as $425 per square foot to have a barn restored. This range will often repair any rotting wood and the disposing of the old material. The prices, in the end, will depend on the age of the barn, the type of wood it’s made from, the current condition, the size, how much clean up is involved and your geographical location. If you want to get an exact quote for your project, consider using HomeAdvisor.com to gather free professional quotes in your area from licensed, reputable contractors. ColonialBarn.com, a barn restoration company located in New England, claims that most quotes will be between $200 and $300 per square foot. They state the fees will really come down to the amount of open space, details, and the number of windows. During the average restoration job, a qualified contractor will replace any rotting wood or floor joists, replace the shingles if necessary and repair any broken windows. Before the work begins, the contractor will be able to design, consult, and offer an official architectural drawing for the customer to approve. Be prepared to pay extra for new windows, paint, shingles and a new floor. The most common repairs include replacing the roof, straightening walls, replacing the floorboards, rebuilding the doors, and stabilizing the foundation. If the contractor has to travel more than 30 miles to a location, he may tack on a fuel or travel surcharge. Depending on the contractor’s scope of work, some may charge extra to repair floor joists, siding, roof sheathing, foundation and flooring. If you decide you do not want to restore the barn, demolishing and having it hauled away could cost an average of $4,000 to $10,000. However, if you are going to go this route, see if you are able to sell some of the barn wood; before you do it, check with your local state to see if there are any rules when it comes to selling barn wood. Special building permits may have to be pulled, depending on your city and state. As a result of a newly restored barn, your property taxes may go up because of it. Instead of just restoring a barn, some people decide to have it renovated for a different purpose. For example, it is possible to turn a barn into a home. It could even be turned into a wedding venue or chapel that could then be rented out. This type of renovation would obviously be much more expensive. Make sure that you get a handful of quotes. You are going to find that a contractor may sometimes not be able to work on the barn because they will not be able to restore it. However, the opinions are going to vary from one contractor to another. When choosing a contractor, be sure to choose one who is skilled and has experience with older barns. Also, try to find one that offers some type of guarantee in their work. Get everything in writing before hiring a contractor. You are going to want to know exactly what you are going to get with your payment. Restoring a barn is going to improve the condition to protect animals, equipment, and even increase your property value. Make sure that restoring your barn is going to be worth it. Some homeowners have the misconception that a barn could be worth a lot when restored. Sadly, this is not the case most of the time. Check with your homeowner’s insurance company to see if any part of the barn is covered under your policy. Check for federal and state tax incentives to see if your barn qualifies for historic preservation. Check with your local state or city to see if there are any grants you can take advantage of. For example, TractorSupply.com noted that the Iowa Barn Foundation paid half of a $19,000 restoration bill. This is usually given when the barn is being restored for farming purposes.